The Vancouver rain has stopped awhile, giving us a clear view of the night sky. 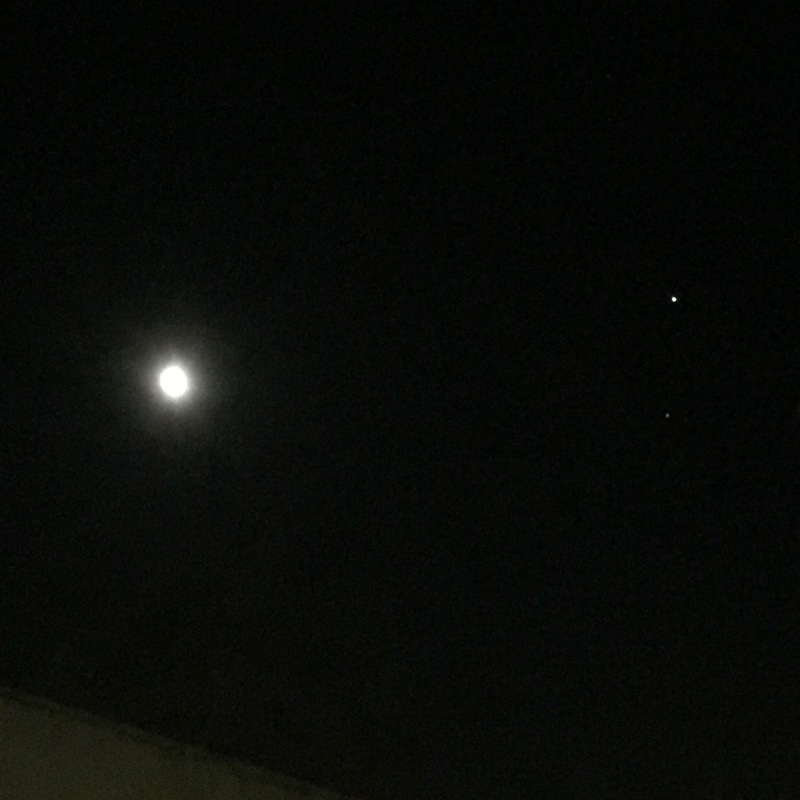 In spite of the glow from the city lights, before sunrise this morning we had a lovely view of the Moon, Jupiter, and just below Jupiter, the fixed star Spica. Not only was this a peaceful sight to behold, the astrology suggested by this conjunction of Jupiter and Spica is said to be quite fortuitous for certain individuals. Are you one of the lucky ones? 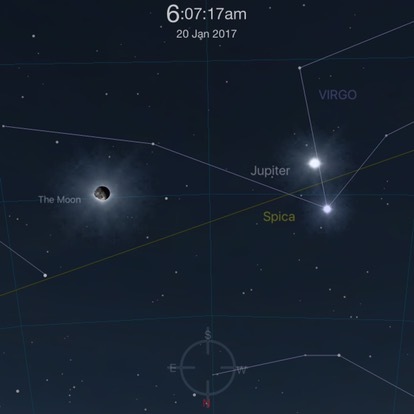 Today Jupiter is situated just shy of 23° Libra (measured in the tropical zodiac), closely aligned to the position of Spica. Jupiter is known to bring good fortune, expansion, opportunity, knowledge, and a positive approach. Spica brings fame and success beyond one’s wildest dreams, with a pure sense of goodness and the desire to protect the innocent. Coupled together, this Jupiter-Spica duo can bring a very favourable influence, especially to anyone with planet or point near 23° of the Air signs (Gemini, Libra, and Aquarius). Does this include you? Find out by enrolling in our Foundations classes. Learn astrology through a guided, in-depth analysis of your own chart and those of your classmates. Begin the journey today!